Dr. Shah is a Physician Scientist with formal training in Internal Medicine, Epidemiology and Public Health. Her research and public health work are closely interconnected and has focused on drug- resistant TB and TB/HIV co-infection for the past twelve years. Dr. Shah has a breadth of experience in multiple high-burden TB and HIV settings, including South Africa, Ethiopia, Venezuela, and Vietnam. Since 2004, she has conducted a number of clinical research studies and has authored or co-authored over 50 peer-reviewed publications and book chapters related to TB. Dr. Shah has provided over 40 invited lectures for local, national and international groups. 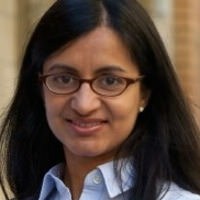 She is also a clinical care provider for people with HIV in the United States, initially in the Bronx, NY, and currently in Atlanta, GA. Dr. Shah has served in multiple leadership positions and working groups, including the TB Transformative Science Group in the AIDS Clinical Trials Group network and the TB subject group lead for the NIH-CDC-HIVMA/IDSA Guidelines for Prevention and Treatment of Opportunistic Infections in HIV-infected Adults and Adolescents. Dr. Shah received her medical degree from the Johns Hopkins School of Medicine and completed her Internal Medicine residency at New York-Presbyterian Hospital. She obtained a Masters in Public Health from the Columbia University Mailman School of Public Health, then served 2 years as an Epidemic Intelligence Officer at the CDC. From 2006-2012, Dr. Shah was a faculty member at Albert Einstein College of Medicine, in New York, where her research studies were focused in South Africa and examined the epidemiology, clinical course, diagnosis and treatment of TB, especially in the setting of HIV co-infection. In 2012, Dr. Shah joined the CDC’s international TB branch, where she serves in a key leadership position as the Associate Chief for Science. Dr. Brust is an Associate Professor of Medicine at Albert Einstein College of Medicine and Montefiore Medical Center where he holds joint appointments in the Divisions of General Internal Medicine and Infectious Diseases. He received his undergraduate and medical degrees from Columbia University and completed both a residency in Internal Medicine and a fellowship in Infectious Diseases at the Columbia University Medical Center. Dr. Brust's research has been based in South Africa—a country with some of the highest rates of TB and HIV anywhere in the world. With a particular interest in TB drug resistance, he has spent the past 11 years studying TB/HIV co-infection, examining the epidemiology, transmission, and operational responses to the drug-resistant TB epidemic in South Africa. He is currently the Principal Investigator on an NIH-funded study of the new TB drug bedaquiline in South Africa, examining its safety, mechanisms of resistance, and drug-drug interactions with antiretroviral therapy. He is a member of the TB Subject Group for the NIH-CDC-IDSA Guidelines for Prevention and Treatment of Opportunistic Infections and the lead author of the forthcoming Mycobacterial infection treatment guidelines for the New York State AIDS Institute Medical Care Criteria Committee. 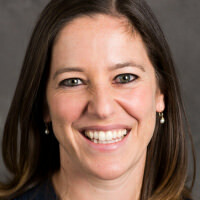 Dr. Sara Auld is a fellow in Pulmonary and Critical Care Medicine at Emory University. She has been working in global TB and HIV since 2005 when she spent a year in Durban, South Africa as a Doris Duke Research Fellow. She attended medical school at Columbia University and did her internal medicine residency at Massachusetts General Hospital before joining the Epidemic Intelligence Service at the US Centers for Disease Control and Prevention where she worked in the International TB Branch. She has been at Emory since 2013. 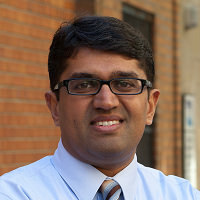 Neel R. Gandhi, M.D is Associate Professor in the Departments of Epidemiology, Global Health and Infectious Diseases at Emory University’s Rollins School of Public Health and Emory School of Medicine. Dr. Gandhi received his Bachelor of Arts degree in Chemistry from Williams College in 1994, and his M.D. degree in 1999 from Brown University School of Medicine. After completing residency in Internal Medicine, Dr. Gandhi received Epidemiology training in the Robert Wood Johnson Clinical Scholars Program at Yale University, and Infectious Disease training at Emory School of Medicine. He served on the faculty at Albert Einstein College of Medicine from 2006 to 2012. In July 2012, Dr. Gandhi returned to Emory to join the faculty at the Schools of Public Health and Medicine. Dr. Gandhi has been engaged in clinical research in Tuberculosis and HIV co-infection since 1998. Since 2002, Dr Gandhi has led a research team focused on epidemiology and clinical research studies to improve care for TB patients co-infected with HIV. In 2006, Dr Gandhi was the lead author on a study describing high rates of mortality in patients with extensively drug-resistant tuberculosis (XDR TB) and HIV co-infection in the rural town of Tugela Ferry. This study has been credited for uncovering a rapidly expanding multidrug-resistant (MDR) TB and XDR TB epidemic in South Africa. Since the discovery of the drug-resistant TB epidemic in South Africa, Dr. Gandhi’s research group has focused on characterizing the epidemiology, and improving diagnosis and treatment of MDR and XDR TB. His research group has demonstrated that transmission of drug-resistant TB strains, in healthcare and community settings, is major factor in driving the rapid expansion of the epidemic. They have also shown that MDR TB treatment outcomes, among HIV co-infected individuals, can be improved to rates similar to those without HIV, if antiretroviral therapy is given concurrently. His research group is now investigating the risk of developing resistance to bedaquiline, as well as drug-drug interactions with antiretroviral therapy, among pre-XDR and XDR TB patients. In addition to NIH funding for the South African studies, Dr. Gandhi is also collaborating with colleagues at Emory and in TB Research Unit (TBRU) ASTRa, to understand adaptive and innate immune responses and their relationship to outcomes following Mtb exposure, including active TB disease, prolonged latent TB infection, and clearance or resistance to infection. Dr. Gandhi’s group has collaborated with the US CDC and Kenya Medical Research Institute to establish a study site in Kisumu, Kenya, and with the DeKalb County Board of Health for a study site in Atlanta for these studies. Dr. Gandhi is also committed to training the next generation of TB, HIV and Global Health researchers through teaching and mentoring activities. 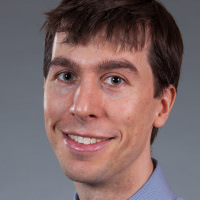 He is the recipient of an NIH K24 mentorship grant, as well as mentoring individual early career development K awards, and serving as training faculty on several T32 and D43 grants.